Academics have already established that the economic costs of malaria and Africa’s general disease burden are not trivial. Think of lots of man-hours wasted due to illness and government expenditures on medication, time and money that could be used to build roads and what not. To illustrate the point, not anyone is immune from Malaria. 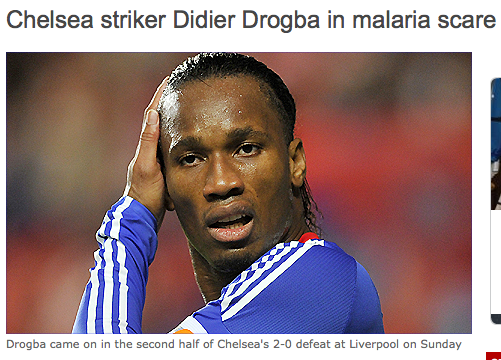 Drogba, the illustrious Ivorian forward, got malaria and had to take a few days off from his duties at the London club, Chelsea.